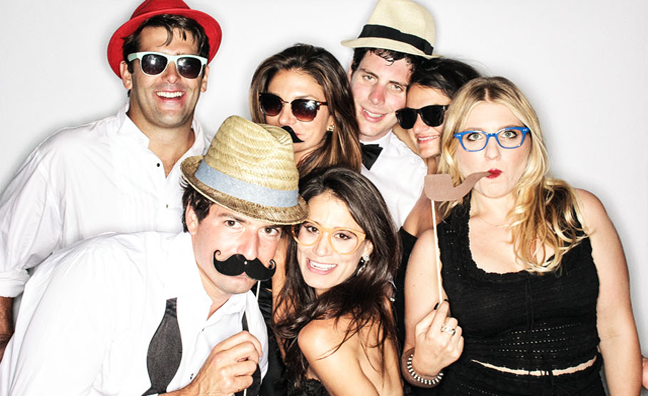 Ultimate Party Booths is LA's premier photo booth rental company devoted to making your event unforgettable! 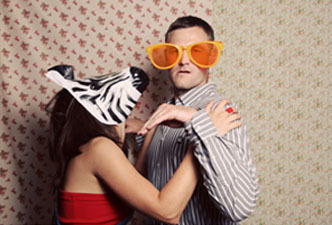 Graduations, Weddings, Quinceaneras, Corporate Events, Parties, Mitzvahs, Fund raisers and Reunions are perfect occasions to unite your guests with the fun and hilarity of our unique photo booth experience. 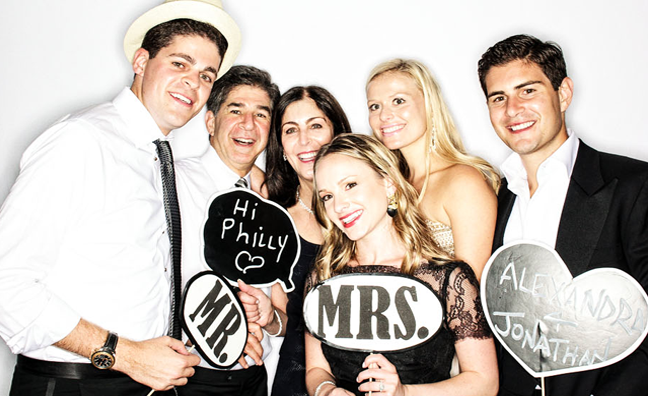 Our service begins during your consultation with one of our knowledgeable booking specialists who will help customize your photo and video booth rental reservation down to the last detail. 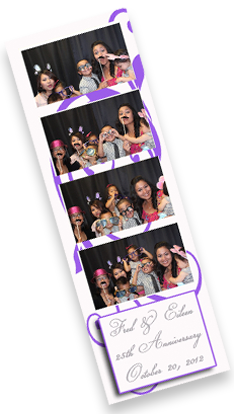 All of our Packages come complete with unlimited photo sessions, duplicate photo strips, an on site party booth attendant, USB drive of all pictures and Fun Party Props. 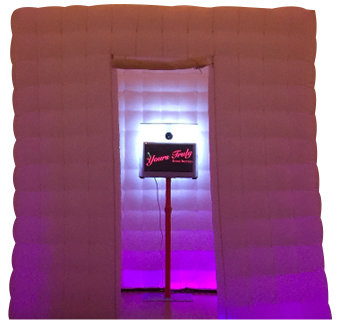 Our 7′ x 7′ photo booths are twice the size of a traditional booth and can accommodate large groups while adding exciting and stylish entertainment to any event. 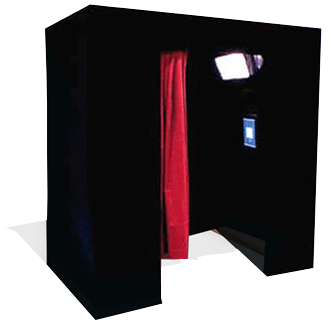 Your guests enter our ultimate party booth, push the color or black & white button, and 4 pictures will be taken. A live touch screen allows for perfect poses and previews each photo as it is taken. In 20 seconds, the photos appear from a professional sublimation printer outside the booth. The print quality is outstanding! One copy for your guests and one for your customized scrapbook if you so choose. 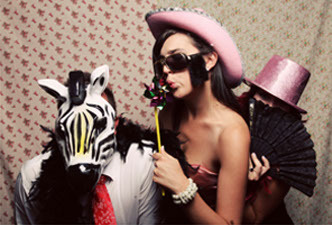 Party goers will line up and pile in to enjoy this unique photo booth experience. You take away all the evidence and the satisfaction of making your event unforgettable. 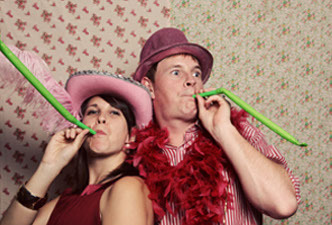 The Ultimate Party Booth Rental is sure to add excitement to any event! *Excluding Holidays 2 Hour rental Monday through Friday only, from 8AM to 3PM. $225. 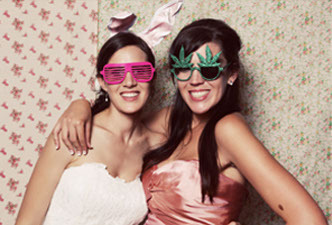 Contact us for our San Gabriel Valley - "Neighbors Price"
Q: Your photo booth is seemingly so much better than others, why is it also less expensive? 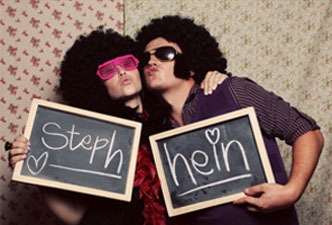 A: Our photo booths were custom designed and built exclusively for weddings and other grand occasions. They utilize professional lighting equipment and quality cameras for superior image quality. Our photo booths are larger than vending machine-type booths yet they are much easier and therefore less expensive to transport. They are also cleaner and much more attractive than some of our competitors’ booths, which in some cases are decades old. Q: Are prints included with your rental rates? A: Yes they are. Each photo booth session takes four pictures which are then printed seconds later on a single 4x6 index print for your guests to keep. Our rental rates include unlimited sessions and an individual index print of each session. We also offer optional add-ons such as double prints. A: Yes we do! Office parties, School Promotions Ceremonies we are able to accommodate our customers schedules. A: Our setup take on average 30 minutes, but we arrive an hour early to insure we are ready to go by the time we agreed on. A: Our standard enclosed booths fit up to 12 adults with no problem. Q: Does the rental include set up & delivery? A: Yes our price includes set up and delivery within LA and most of Orange County. 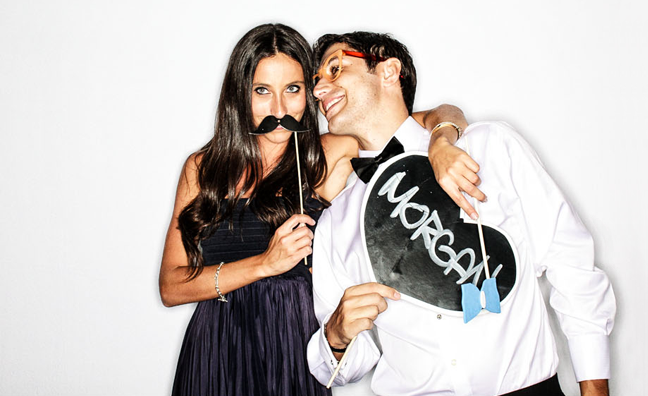 Q: Do you require a security deposit to reserve your photo booth? A: We require a $250 to half of the total amount as a security deposit to reserve the date. A: If you notify us of cancellation at least one month prior to the event, we will be happy to give you your deposit back. If less than a month we will work hard to book another event and upon us being able to do so, we will issue you a refund. Q: Does an attendant stay with the booth for the entire time? A: Yes! 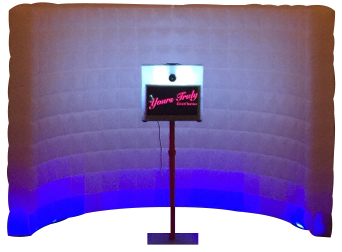 The booth runs itself but we have found that having someone there can really add to your guests experience. Q: Do you have strips or different layouts? A: We offer different options and sizes depending on your need. We custom design a layout based on your theme or event and we work closely with you to come up with something unique just for you. Q: Is there a photo limit at an event? A: No! There is no limit to the amount of pictures you can take. Lines will form and our Booth Attendant will ensure that guests don't linger so as all of your guests get to have some fun! Q: Do you need anything on the day of the event? A: We need a table to place the FUN Party Props on as well as access to a power outlet within 20 to 30 feet. Q: What if someone takes inappropriate pictures? A: As long as they look to be of legal age, we will hand them their pictures as soon as they print. We will NOT post them on our online gallery. However, a copy of all photos taken is given to the event contact person at the end of the evening. "What happens in the Booth... Doesn't stay in the Booth!" 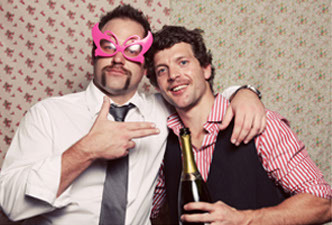 Q: Do I get to keep the pictures from the photo booth after the event? 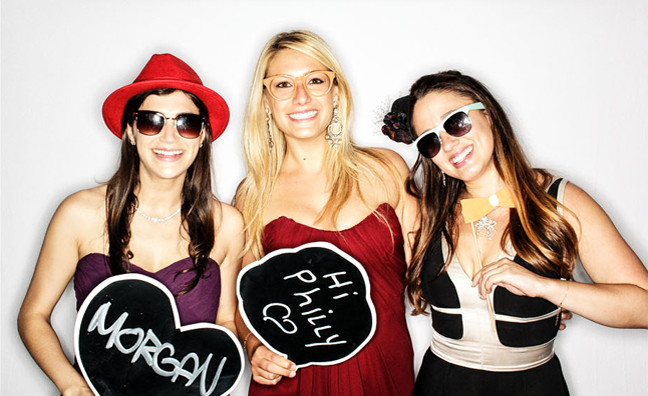 A: Yes, you get a copy of all photos on a USB Drive (we provide drive) that were taken at your event. A: We cover all of Los Angeles County, Orange County, San Bernardino, Riverside, San Diego, and Santa Barbara. We will always try to accomodate your location.